Despite repeated requests for an official reassessment of the incident, CCP state secretary Zeng Qinghong announced that no revisions would be forthcoming. 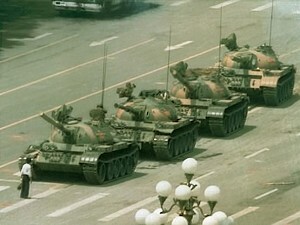 The 1989 June 4 Massacre claimed the lives of approximately three thousand Chinese college students who were demonstrating in Tiananmen Square for a reform and modernization of CCP policies. Then-CCP military secretary Deng Xiaoping ordered the Army to assault the students with tanks and machine guns to clear the square. Although there was photographic and filmed evidence of the murders, the CCP's official position was that no students had died, but rather that some students had attacked the troops and killed some. The CCP later revised this stance, admitting that 200–300 students might have been killed. The Politburo has discussed officially revising its view of the Tianamnen Square Massacre fourteen times since 1991. This year's review began with CCP state secretary Zeng Qinghong presenting his report on polling data about people's opinions about the Tianamen Massacre. Next, the assembly expressed its unanimous belief that the actions taken on the night of June 3–4 represented the only possible means of addressing the situation, which would have continued to deteriorate and perhaps have become uncontrollable otherwise. Various points were raised including the fact that although eighteen years have passed, there is tremendous political and social pressure to revise the official view. Strong opinions and recommendations have come from within the Party itself and from all sectors of the society. These include the requests to clearly define this “political disturbances,” to revoke the arrest warrants currently in effect for those involved in the incident, to allow exiled students and union members to safely return to China, to appropriately compensate the casualties and to establish an authoritative inquest unit to produce an accurate and objective report for history books.